I’m currently studying for an MPhys in physics and mathematics at Loughborough University. I am also taking up a study year in America at Purdue University to take some modules that are really cool and should help my future studies. I plan to embark on a PhD following completion of my undergraduate studies, I am not completely sure in what yet however I have an undergraduate degree to get first. I was told about IOP by some of my teachers and joined towards the end of my physics A-level. I was mainly interested in Physics World magazine. Now that I am at university, I currently sit on both the undergraduate and postgraduate physics students committee. I also work closely with the East Midlands Branch to ensure student engagement representation in the East Midlands, I have done this by partaking in different outreach opportunities including, Science in the Park, STEM Community Day and the Big Bang Fair. The IOP has supported my studies in many ways, from providing career events and networking opportunities to allowing me access to scientific journals and other academic resources. However, the main way they have supported me is through the numerous student events that are held throughout the year. These events incorporate many career elements. 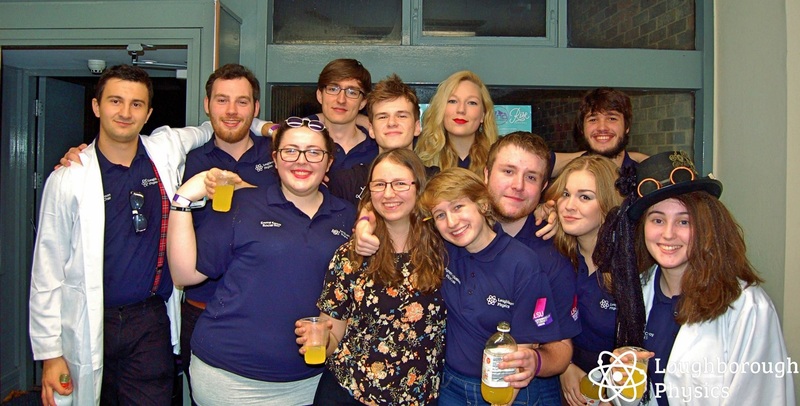 I have attended a wide range of student events across the UK and ROI, from the annual Conference for Physics and Astronomy Students (CAPS), to the society’s forum. CAPS is by far the best opportunity for physics students to network and get access to a wide range of resources. This year I organised the IOP Societies Forum at my university which was both fun and challenging! During the forum we got to hear about all the great events that other societies have put on while also having a competition to see who could make the best use of the IOP £100 affiliation grant. Being part of IOP means being part of a network of people who all share the same passion as you for physics. Being part of IOP means being part of a network of people who all share the same passion as you for physics. There are lots of benefits to being a member and you can get a lot out of joining IOP. You can choose to volunteer at an event, attend a lecture, or read a copy of Physics World; it’s really up to you.